This is Buddy. 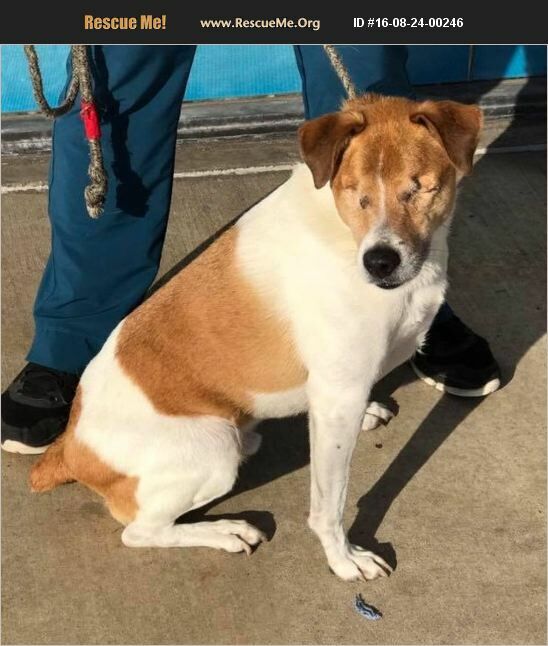 He was hit by a car and lost both of his eyes. This precious boy doesn't realize he can't see!!!! He is an awesome dog. He is 7 years old and has been neutered and is current on all his shots. Buddy weighs 35 pounds. He is heartworm negative and current on prevention. He needs to go to someone that is familiar with special needs dogs. Buddy is housetrained and crate trained. He was an only dog, but he doesn't seem to mind other dogs at the clinic so he might be okay in a home with others. He is available for adoption. His adoption fee is $100. If you are interested please come to the clinic and fill out an adoption form. The address is 9968 E. 21st Street Tulsa, Oklahoma 74129. Contact: info@marinaanimalclinic.com or call 918-663-5758. Visit our website at www.marinaanimalclinic.com.